Budget planning reveals the depths of Turkmenistan’s economic crisis. 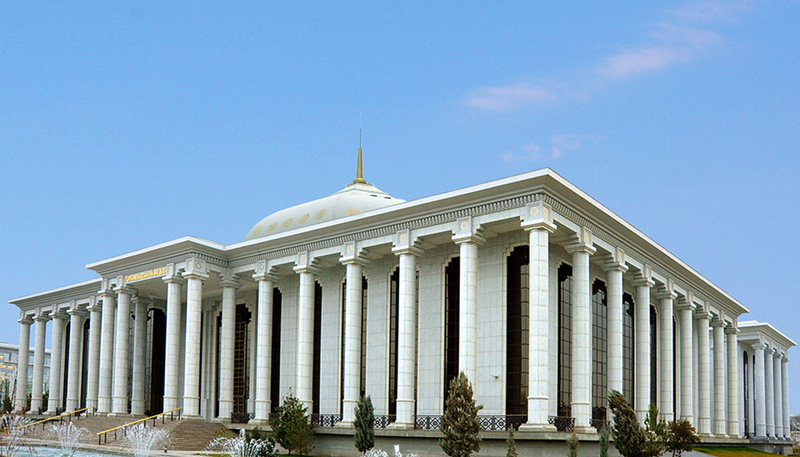 Turkmenistan’s rubber stamp legislature had an unusually busy session on December 1. It passed a budget for 2019 and, on the same day, ratified the Convention on the Legal Status of the Caspian Sea that President Gurbanguly Berdymukhamedov and other Caspian Sea littoral heads of state signed on August 12. It was business as usual at the Cabinet meeting, which took place on the last day of November. In a now-characteristic effort to display his supposedly laid-back demeanor, the president traveled to the meeting from his presidential palace by bicycle. “Exercising regularly has a beneficial effect on human health,” he reminded his minions. 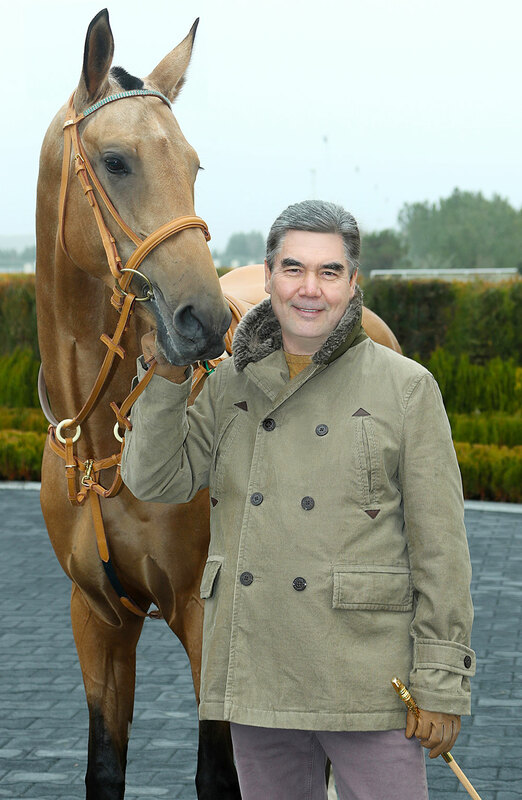 And then on December 2, he popped down to the Akhal-Teke equestrian complex in a fur trimmed artichoke-colored coat and prune trousers, a tasteful autumnal combination accessorized with a golden-tipped riding crop. The visit even inspired the president to start work on another book. This one will be on the subject of the beloved national horse breed. State media insists around 75-80 percent of government spending will as ever go toward “social expenditures.” This feels hard to square with the fact that Turkmenistan continues to splurge billions of dollars on failed industrial adventures, a high-tech seaport and grotesquely outsized sporting venues. The real state of Turkmenistan’s economy is something of a black box. One clue can be gleaned from the divergence between the official and real value of the manat. The Vienna-based Chronicles of Turkmenistan reported on November 30 that it was most recently trading at around 14.5-16 to the dollar. Taking the lower-end rate would put the real budget revenue figure at something closer to $6.6 billion. The terms of supply are not publicly known, but it is clear that the country’s only significant source of foreign cash is from natural gas exports to China. Figures produced by Economist Intelligence Unit researcher Sam Bhutia indicate that rising volumes of gas exports could translate into payments of up to $7.5 billion in 2019. For that to be the case, however, these sales would have to happen on market terms and not factor in repayments for Beijing’s funding of the China-Central Asia pipeline. The recurrent anxiety-inducer to the east raised its head again this week when the governor of Afghanistan's Faryab province, which shares a long border with Turkmenistan, complained about his region’s worsening security situation. Naqibullah Faiq bitterly demanded more support from Kabul, complaining that around 80 percent of his province had now fallen into Taliban hands. The government pays lip service to the notion of national defense. For example, a December 1 meeting of the State Security Council did dwell on the importance of carrying out combat training for border guards, although Afghanistan was not mentioned even once in state media's writeup of these discussions. Even alluding to dangers from Afghanistan is enough to provoke Ashgabat’s ire. Last month, the Foreign Ministry denounced a RIA Novosti report that referred to discussions about surging Taliban activity near the country’s border. And yet the bad news trickles out. On November 28, the Chronicles of Turkmenistan posted a video of the kind of breadlines now forming even in Ashgabat. Azatlyk also noted that quotas have apparently been placed in some provinces on staple goods, such as flour. A November 29 Azatlyk report also revealed that pensioners have been required to report to social security centers roughly every six months in order to receive their pension payments. This policy – ostensibly to prove that the pension recipients are not dead – has reportedly been in place since early this year. Authorities continue to air the idea that a transition to a more open market system will provide a solution to a problem whose existence they don’t acknowledge. In that spirit, the Cabinet agreed at its November 30 meeting that private companies would be entering the cotton, wheat and potentially other agricultural markets as of next year. Turkmenistan’s farming sector is to all practical intents and purposes little changed from Soviet times, so this would be a seminal development. In another recognition of the law of gravity, reports in November from state-friendly outlets indicated that the price paid by the state for agricultural outputs will rise sharply as of January. The amount paid for wheat, for example, is set to double, while cotton prices will increase 50 percent. Agriculture and Water Ministry officials said these new prices would enable what are essentially latter-day serfs to increase their profits by 20 percent – just one more mathematical conundrum.